One had to admit that Gentle Snow's proposal was tempting. Even Zhao Yueru and the Elders of Ouroboros standing beside Gentle Snow were shocked by her offer. After all was said and done, Ouroboros was a bona fide first-rate Guild and possessed a ma.s.sive fortune. The Guild had only achieved its current status after striving for many years. Although the Guilds' internal struggles were serious, the Guild itself was still frighteningly strong; second-rate Guilds were still no match for it. Yet, just for 20% of the shares of a Trading Firm, Gentle Snow actually intended to trade 30% of Ouroboros's shares for 20% of the Trading Firm, in addition to providing various funds and channels. This decision was simply insane. "Snow, have you gone mad? You only hold 50% of Ouroboros's shares right now, yet, you're actually going to give Black Flame 30%? What will you do if Black Flame joins hands with Cao Chenghua?" Zhao Yueru persuaded her friend softly. Although Zhao Yueru trusted Black Flame, 30% of Ouroboros's shares was simply too important. If utilized properly, Gentle Snow could easily persuade more of the Guild's Elders to her side. That way, Cao Chenghua would not be able to impact the Guild so easily. Utilizing the Guild's shares to boost Gentle Snow's strength and solidify the Guild was far more valuable than obtaining 20% of the Candlelight Trading Firm's shares. "That's right, Young Madam Snow; you have to consider this carefully. Those shares are the last resort left by Young Master for you to keep Cao Chenghua in check. Although Cao Chenghua can no longer play G.o.d's Domain, in the real world, his authority in the company has not been affected in the slightest. If you give those shares to someone else and lose this protective talisman, he can easily join hands with the other shareholders of the company to oppose you," a man nearing his fifties in butler clothing similarly attempted to persuade Gentle Snow. "You don't have to say anymore. I know what I am doing." Gentle Snow shook her head, waiting for Shi Feng's reply. She was no fool. She knew this was not a worthwhile transaction. Even so, she insisted on conducting such a trade to deepen the relationship between their two Guilds. Although she was the Guild Leader of Ouroboros and one of the major shareholders of the company, neither her authority nor her words were of any use. Unfortunately, although she had tried to nurture plenty of people herself, there were too few capable personnel under her command. It was especially true for experts in G.o.d's Domain. Cao Chenghua had managed Ouroboros for many years now, so he had previously had the time and resources to nurture plenty of experts. Due to her premature victory over Cao Chenghua in G.o.d's Domain, he had decisively ordered all of the experts under him to abandon the Guild. 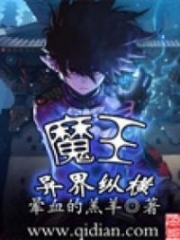 In addition, Cao Chenghua had also roped in many of the Guild's Elders and had secretly been transferring personnel out of the Guild, gradually splitting Ouroboros in half. If Ouroboros split in half, then the shares she had on hand would be meaningless. Hence, she might as well use it to pull Zero Wing to her side. Although Zero Wing seemed only to occupy a single city right now and looked to be inferior to many second-rate Guilds, Zero Wing's city had the second highest population in Star-Moon Kingdom. That was far better than occupying three to five minor cities with a population of only several hundred thousand players. Although Zero Wing was still a fledgling Guild right now, Gentle Snow had seen Zero Wing's small, but sharp, fangs. When the time was right, Zero Wing would rip apart all enemies in its way and become Star-Moon Kingdom's overlord. At this moment, just the fact that Black Flame had managed to establish a Candlelight Trading Firm on one of Star-Moon City's golden Lands displayed the man's capabilities and power. Meanwhile, Shi Feng was similarly stunned by Gentle Snow's proposal. He had never expected Gentle Snow to make such a tempting offer. However, Shi Feng still shook his head and said, "Miss Snow, your offer is indeed very tempting. However, please allow me to refuse." "Refuse? Why?" Gentle Snow asked in disbelief, her beautiful eyes widening with shock. Her proposal was no different than shoving money at Shi Feng's face. If Zero Wing and Ouroboros joined forces, not only could they make up for each other's deficiencies, but it would also become more convenient for their two Guilds on their paths to becoming the overlords of Star-Moon Kingdom. She could not fathom why Shi Feng would reject such a proposal. "As I understand it, I know that you hope to deal with Ouroboros's internal problems quickly, but I do not want Zero Wing to get mixed up in the internal struggles of other Guilds," Shi Feng explained. "However, I have another proposal that Miss Snow might be interested in." "Another proposal?" Gentle Snow could not help but ask curiously. "It's very simple. Miss Snow simply needs to bring Ouroboros's members into Zero Wing. I can give Miss Snow 15% of Zero Wing's shares." Although Shi Feng's voice was utterly calm, his words were astoundingly shocking. "Are you trying to annex Ouroboros?" Gentle Snow said, slightly indignant. Ouroboros did not belong to her entirely. Originally, it should have been her brother's. Only, due to her brother having an accident, Cao Chenghua had taken the opportunity to weasel his way to the top. And all this time, she had been thinking of a way to help Ouroboros recover its past glory, so how could she possibly agree to merge Ouroboros and Zero Wing right now? "Is there a difference?" Shi Feng countered. "Ouroboros exists only in name now. Although you have acquired the position of Ouroboros's Guild Leader, you do not possess the corresponding authority. Sooner or later, Ouroboros will split in half, so why not join Zero Wing instead?" Shi Feng had his own considerations regarding Ouroboros. In reality, Ouroboros was not all that important to him. The only reason he had decided to offer 15% of Zero Wing's shares was solely due to the war G.o.ddess herself, Gentle Snow. Everything else meant little to him. In the past, Cao Chenghua had defeated Gentle Snow. With the entire Guild pitted against her, it was only natural that she had lost. Aside from Gentle Snow's most trusted followers, not a single person had stood with Gentle Snow. How could she have won? Even if her own abilities were amazing and her strength famed throughout G.o.d's Domain, the people's aspirations could not be easily swayed just by strength alone. Although Shi Feng had helped Gentle Snow win the compet.i.tion this time, her fate had not changed much. In this life, she was simply the one standing on the righteousness rather than Cao Chenghua. Even so, the majority of Ouroboros's members were still Cao Chenghua's subordinates. He could just withdraw his men and form his own Guild. Only, the price he would have to pay would not be small. However, Cao Chenghua had no other choice. In the end, Ouroboros would disband. What point was there for Gentle Snow to strive so hard? It would be much better for her to take the opportunity, while a small portion of the Guild still supported her, to join Zero Wing. Both sides silently looked at each other. At this moment, complex emotions filled Gentle Snow's heart. She had won the compet.i.tion, but lost the Guild. This sentence fit her situation perfectly. Despite her desperate efforts to preserve the Guild, at the end of the day, she could not escape her fate. "Fate makes fools of the people!" Gentle Snow quietly exclaimed. She then looked at Zhao Yueru and the several Guild Elders beside her. They were all people whom she trusted the most. By the time Cao Chenghua extracted all of his underlings from Ouroboros, the Guild would only exist in name. At that time, it would be very difficult for the Guild to continue in Star-Moon Kingdom. After all, Ouroboros and the Star Alliance were sworn enemies. Even if Ouroboros only existed in name, the Star Alliance would not let it off the hook. Only when the Guild had thoroughly erased Ouroboros from G.o.d's Domain would it rest. You're Read Reincarnation Of The Strongest Sword God Chapter 517 online at NovelOnlineFull.com. You can use the follow function to bookmark your favorite novel ( Only for registered users ). If you find any errors ( can't read,broken links, can't load photos, etc.. ), Please let us know so we can fix it as soon as possible. And when you start a conversation or debate about a certain topic with other people, please do not offend them just because you don't like their opinions. You're reading Reincarnation Of The Strongest Sword God. This manga has been translated by Updating. Author(s): Lucky Cat. Already has 4348 views. Current Time is 20-Apr-2019 12:48:54 PM.